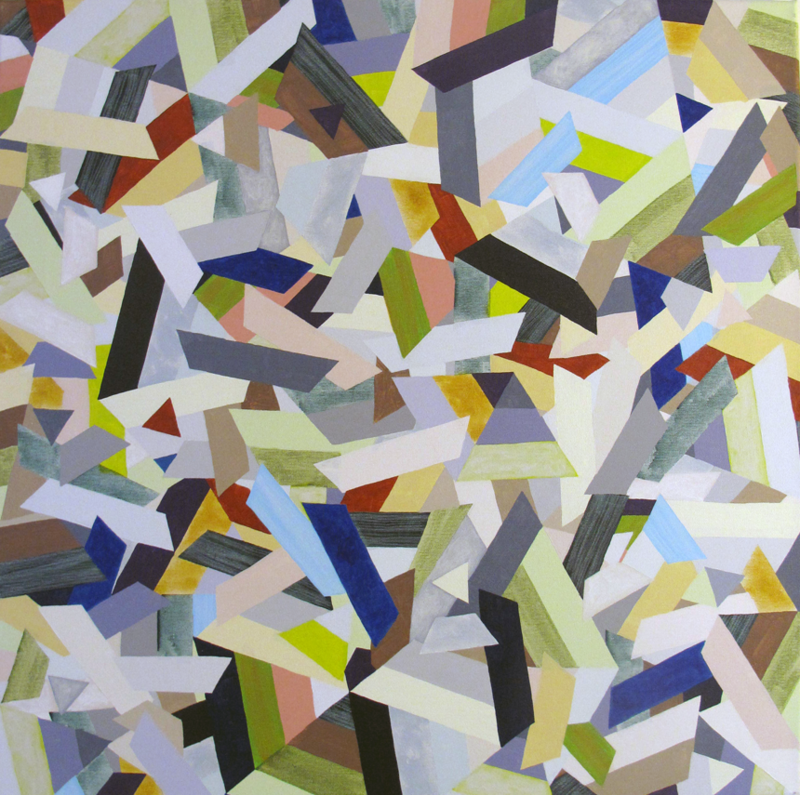 Prism I, 2013, acrylics on canvas, 60 x 60 cm. Prism II, 2013, acrylics on canvas, 60 x 60 cm. 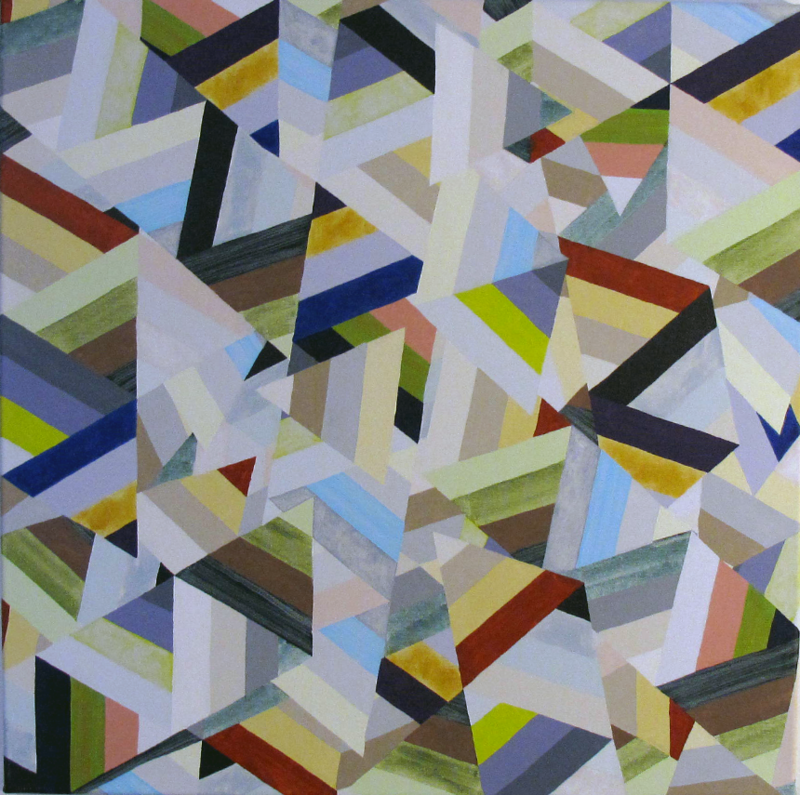 Prism III, 2013, acrylics on canvas, 60 x 60 cm. Is a series of 3 paintings made in 2013 for the project “Travelling Pattern”. 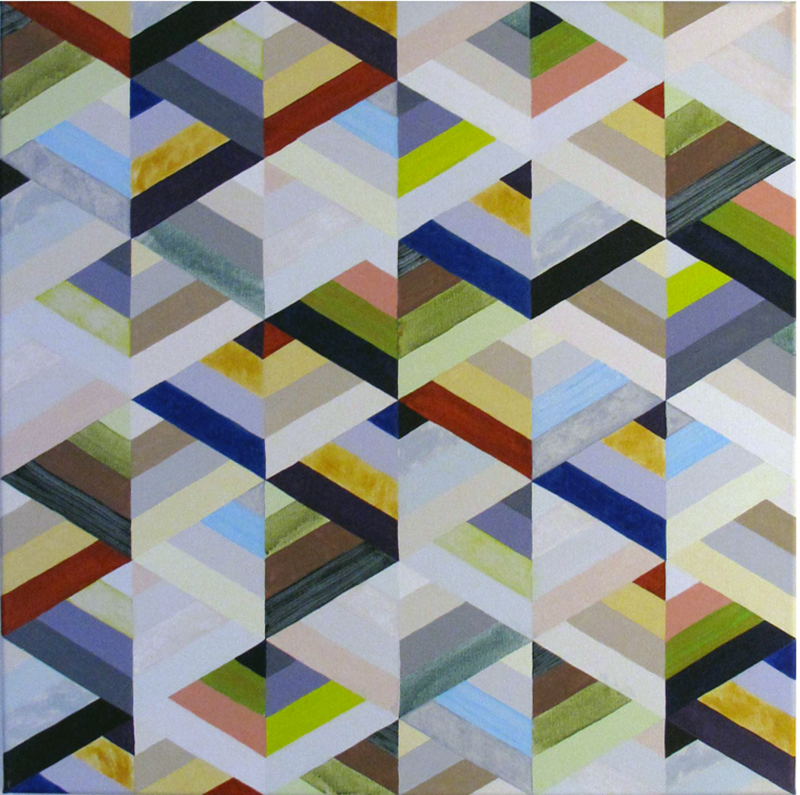 The series is an adaptation and de-construction of the American quilt pattern Prism.